Larger brother of the R25 is powered by a 321 cc engine. 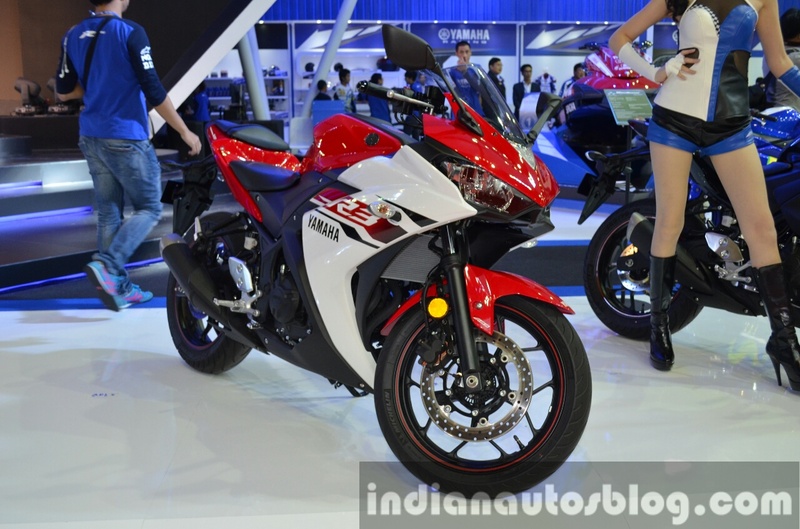 Yamaha is showcasing the R3 motorcycle at the ongoing 2015 Bangkok International Motor Show. The R3 is a motorcycle under consideration for the Indian market, and Yamaha India have imported a couple of units for R&D purposes. The Yamaha R3's 321 cc engine makes 42 PS and 29.6 Nm of torque. The YZF-R3 had its public premiere at the 2014 EICMA show in Milan, Italy, which took place in November 2014. Priced and positioned above the R25, another motorcycle reportedly under consideration for India, the R3 is powered by an inline twin-cylinder 321 cc engine capable of producing 42 PS and 29.6 Nm of torque. A 6-speed gearbox is in charge of transmission duties. Engineers have equipped the R3 with racing-derived features such as forged pistons and low friction pistons, a direct drive camshaft and carburized conrods. Yamaha has endowed the R3 with a 298 mm disc up front and a 220 mm disc at the rear. According to Yamaha, the R3 comes with a lot of race-inspired parts like forged pistons and carburized conrods. 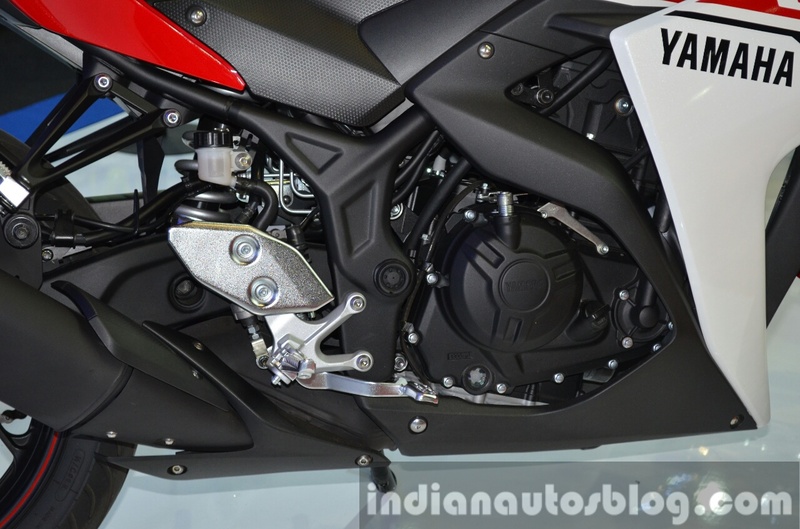 While the bike has been imported for R&D tests, India Yamaha Motor has not confirmed a launch as of yet.